Users can have individual accounts and individual rights. All actions are audited. You have always documented the access to data of each individual person to be GDPR compliant. Among the GDPR requirements, you need to prove that you have a consent of the email recipient. 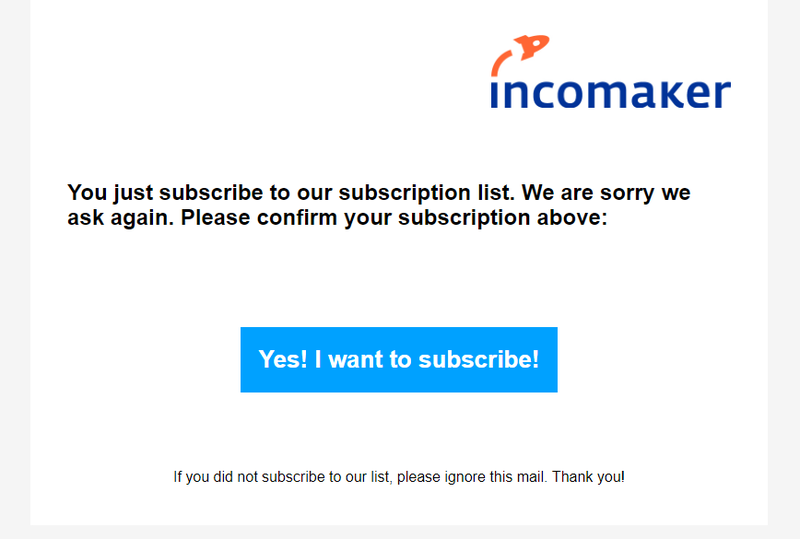 Incomaker supports double opt-in as a way how to reach it and be GDPR compliant. Incomaker stores all data on its servers within the European Union with fully audited access restricted to the authorized personnel. Moreover, data is protected against misuse by strong cryptography and other means to assure GDPR compliance.